We grade our used containers to allow customers to get the nicest container in their price range. Below is our guide for how we grade containers. 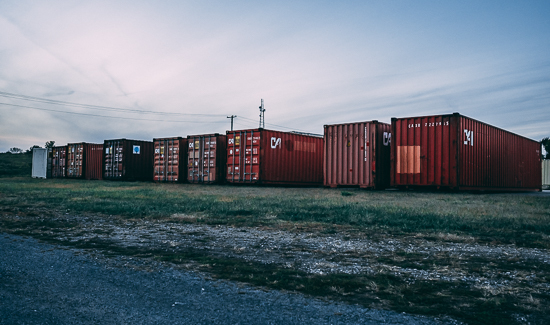 We would be more than happy to answer any questions you have about what to expect from the various grades of containers we offer as well as advise what grade would be best suited to your application. These are the newest units available in the states. They have hauled one load of overseas cargo. These units are the best used containers we can buy. They will have some dents, wear and tear, and some rust. They will also have logo decals and vary in color. Condition is good enough for overseas shipping. These will be comparable to what you see on rail cars. These are units that will have enough wear and age that they are sold off by the leasing companies. They may have been patched or sections replaced. Dents and rust will be present, but no holes. Serviceable seals around the doors. We usually have a few units that fall in this category. Sometimes they are older rental containers which have been painted or they may be containers that are just in rough condition. Each container is priced on its own merit. © Harrison Storage Solutions 2018.